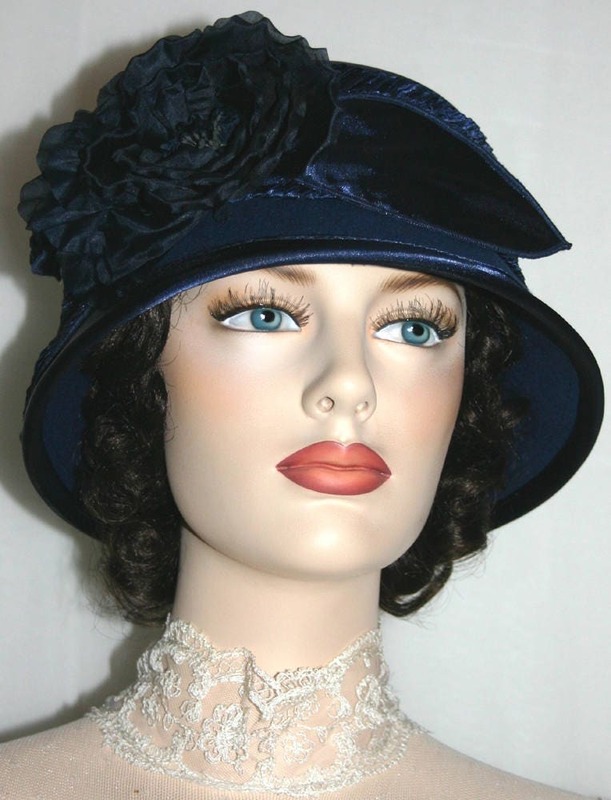 Downton Abbey Hat "Madame Ronda" is a flapper hat perfect for your Edwardian Tea Party! 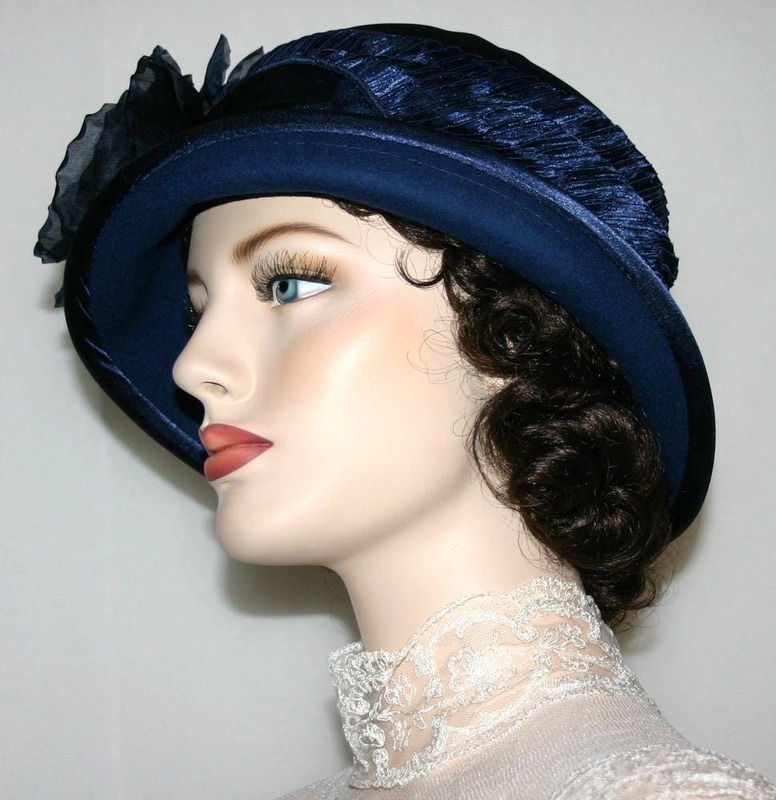 It's designed over a beautiful navy blue wool hat base. 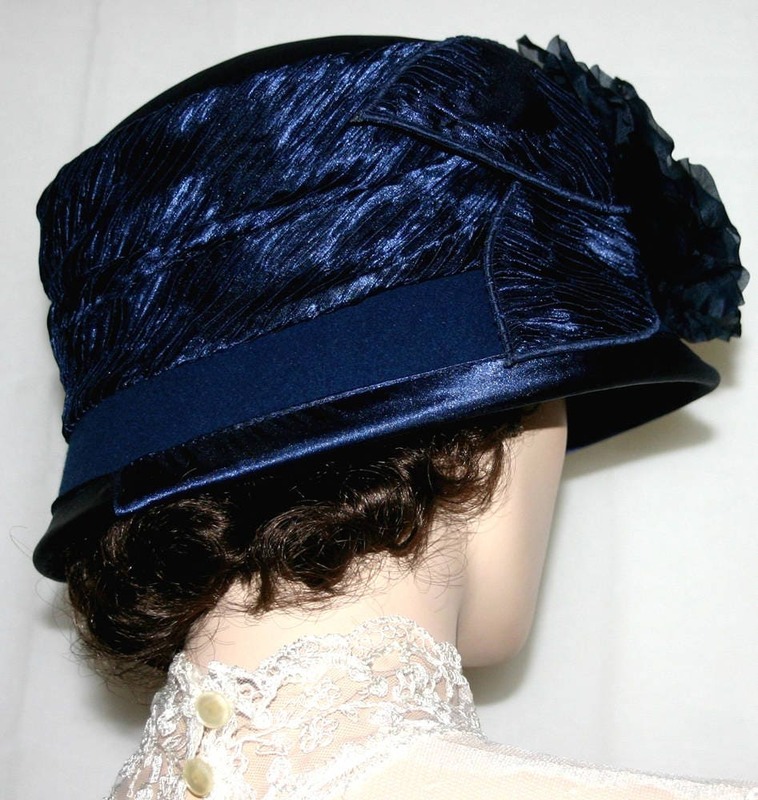 The edge of the brim and the crown are trimmed with navy blue satin. 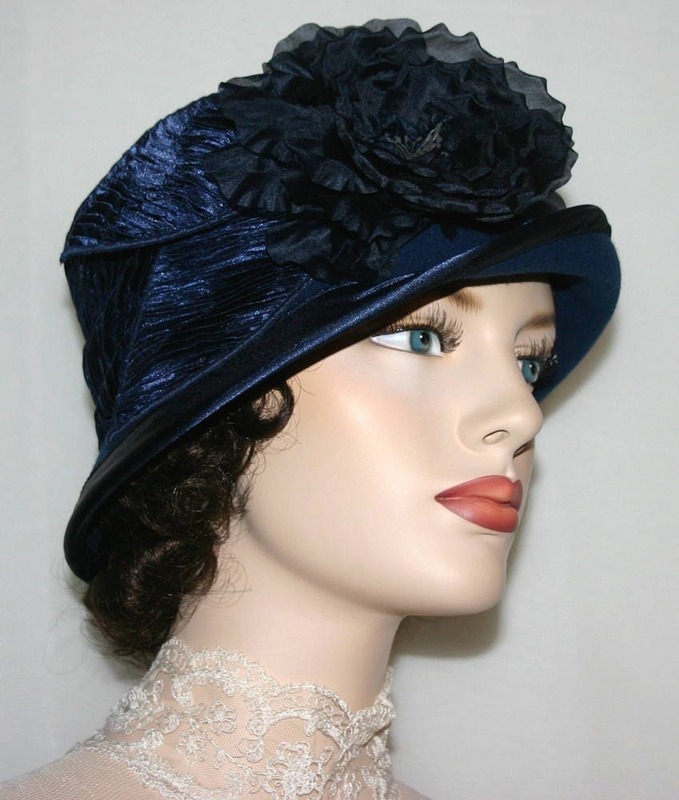 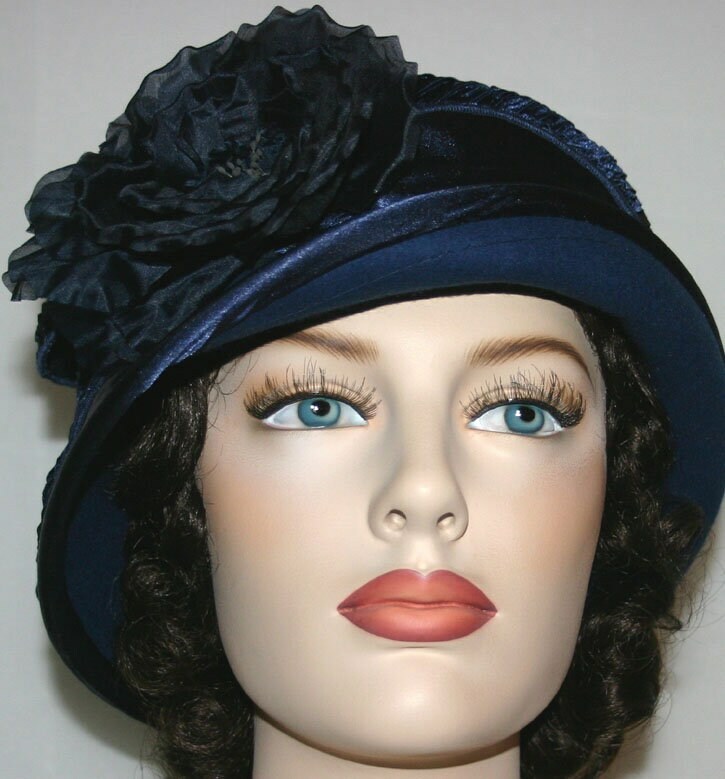 A beautiful midnight blue rose and navy blue satin accents adorn the hat. 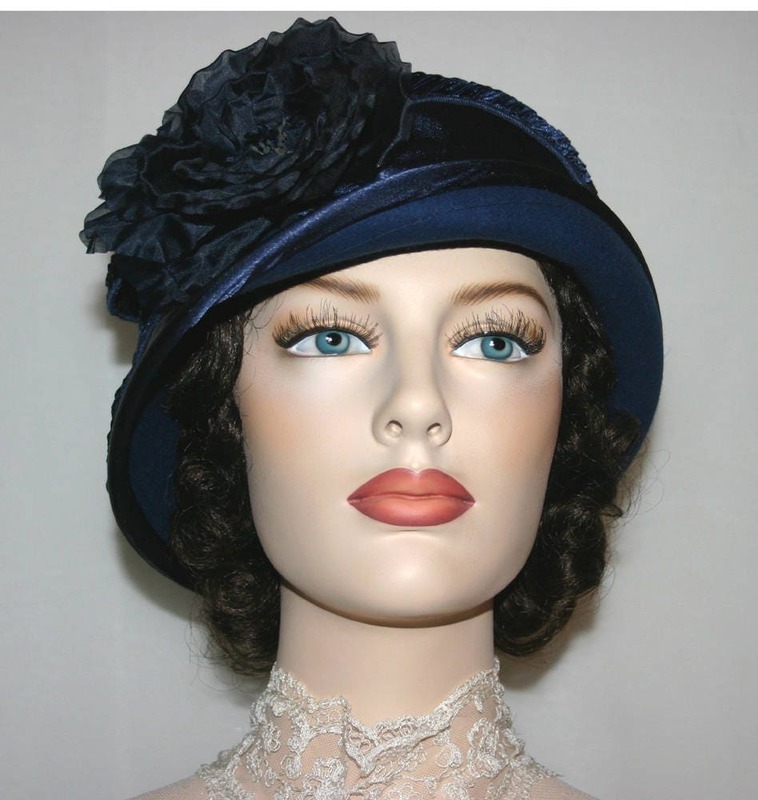 The brim of the hat can be worn either turned up or down.